Following his several earlier donations, Alan Helms has generously donated a new group of African numismatic objects to the ANS’s holdings, significantly expanding the collection's breadth in this area. 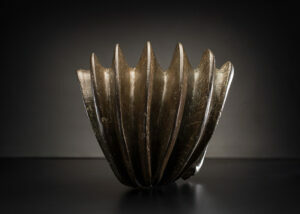 This donation includes very rare and fine examples from modern-day Congo and Nigeria. Read Vivek Gupta’s interview with Helms on Pocket Change. The ANS’s First online Exhibition, The Art of Devastation, is now live! The Art of Devastation: Medals and Posters of the Great War, first exhibited at Vassar College from January 27–April 9, 2017, has been preserved in its entirety online in an interactive exhibit. View all 130 medals and posters along with detailed images and additional information including links to the ANS collections database as well as maps and video. 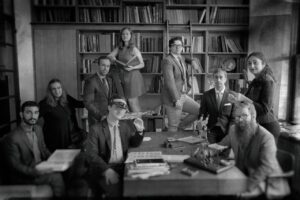 The ANS would like to thank the Google Cultural Institute for providing the tools to create the online exhibit, which is the first of many to come. The exhibition catalogue, which includes six essays by experts in medals and graphic arts of the Great War, is available for purchase. Coins, Heroes, and Tyrants is now Available! Our latest publication is now available! Coins, Artists, and Tyrants: Syracuse in the Time of the Peloponnesian War contains the first fully translated and revised text of Lauri O. Tudeer, Die Tetradrachmenprägung von Syrakus in der Periode der signierenden Künstler—over 100 years after its first publication. 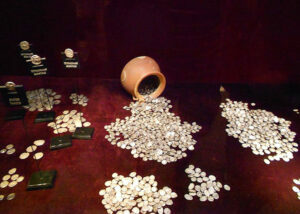 A biography of Tudeer is included, plus a completely new evaluation of signed coin dies and the artists who produced them. 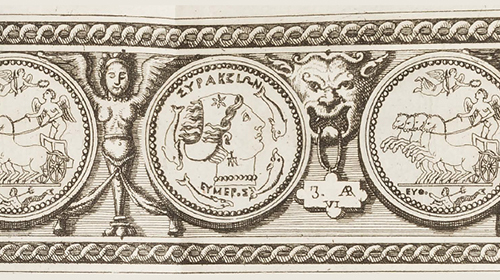 Wolfgang R. Fischer-Bossert has updated the scholarship and bibliography on signed Syracusan tetradrachms, making this book the single most important source on the subject. The book includes plates, a full-color die-link chart, and three pull-outs featuring Syracusan tetradrachms and hoards. The list of nominations for the new term of Trustees and Officers, as well as for Fellows, is now available online. The Trustee candidates are nominated for a three-year term ending in 2020 and will be voted upon at the Annual Meeting on October 28, 2017, by the Fellows of the Society. The ANS’s photographer, Alan Roche, presented his Money Talks lecture on July 15th to a packed house. He gave the group of attendees an overview of the camera followed by the necessary tricks and tools for getting the perfect shot of a coin. 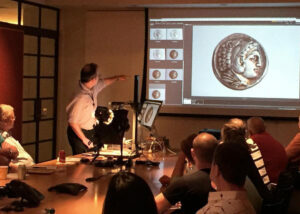 A number of members said that it was the greatest coin photography lecture they had ever attended and even though the talk went into overtime, they wanted more. You can be sure to find this lecture in next year’s Money Talks line-up! On Friday, July 29, the ANS bid farewell to our most recent group of Eric P. Newman Graduate Summer Seminar students, who recently completed an eight-week intensive on numismatic studies with this year’s visiting scholar Dr. Thomas Faucher of the Institut de recherche sur les archéomatériaux, Centre Ernest-Babelon, part of the Centre national de la recherche scientifique (CNRS) and the Université d’Orléans (Orléans, France). Dr. Faucher is, among other things, a specialist in ancient coin production and Ptolemaic coinages. 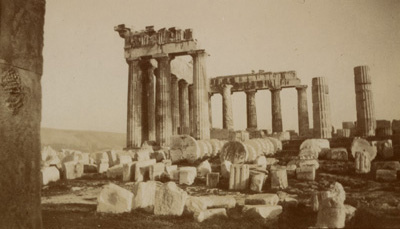 The Agnes Baldwin Brett papers have recently been updated to link early 20th century archaeological photographs to people, places, and monuments depicted within them. Many of the photographs depict ancient sites, and have therefore been linked to the Pleiades Gazetteer of Ancient Places. Through this, the photographs can be made available in the Pelagios Project, an aggregator of content about the ancient world. The ANS has long participated in Pelagios, making its coins and digital library materials available more broadly to the classical studies community. Brett's photographs represent the first archival materials to be made available in this way. There remains much work to be done to digitize the rest of Brett's collection, including her travel diaries. 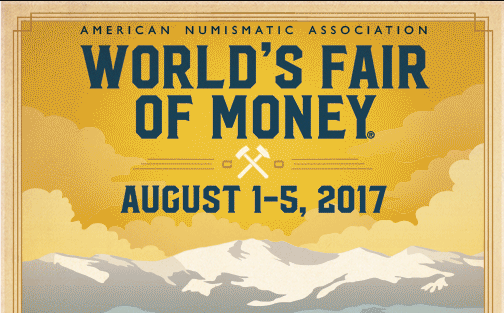 ANS Executive Director, Dr. Ute Wartenberg, will be attending the 2017 ANA World’s Fair of Money in Denver. She will be sharing a table with the Classical Numismatic Group, bringing a selection of recent publications and old favorites. 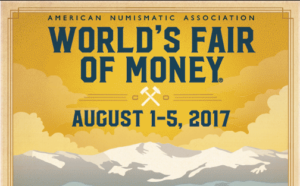 The event runs August 1-5, 2017 at the Colorado Convention Center in Denver, CO.
Fall/Winter Money Talks Lectures are here! The American Numismatic Society is pleased to announce the upcoming lectures for Money Talks: Numismatic Conversations. This monthly interactive lecture series is appropriate for all levels of coin collectors and enthusiasts. This is a rare, hands-on experience where attendees view relevant coins, banknotes, and/or medals while learning about the broader world of numismatics. Each lecture includes a meal beforehand and a Q&A to follow. Money Talks will take place on Saturdays at the ANS headquarters in New York City. 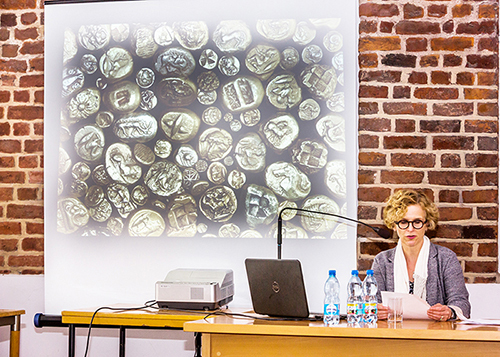 Dr. Ute Wartenberg delivered a public lecture in Wroclaw at the Ossolienum, one of most important collections of books, prints, manuscripts, and coins in Poland. The institution was founded in 1817 when Count Józef Maksymilian Ossoliński donated his extensive collections to the new institution in Lwów (Lemberg). During World War II, the valuable collections were moved by the occupying German forces from the Soviet Army and ultimately ended up in Wroclaw. The Numismatic Department of the Ossolineum holds an extensive collection of ancient, medieval, and modern coins and medals, which are curated by a group of expert numismatists. 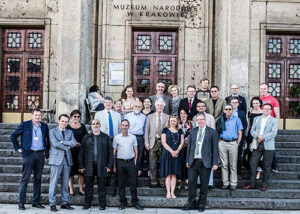 Dr. Wartenberg was invited by the President of the City of Wroclaw as part of an official Visiting Professor Program, which brings international scholars to the city and the Ossolineum. 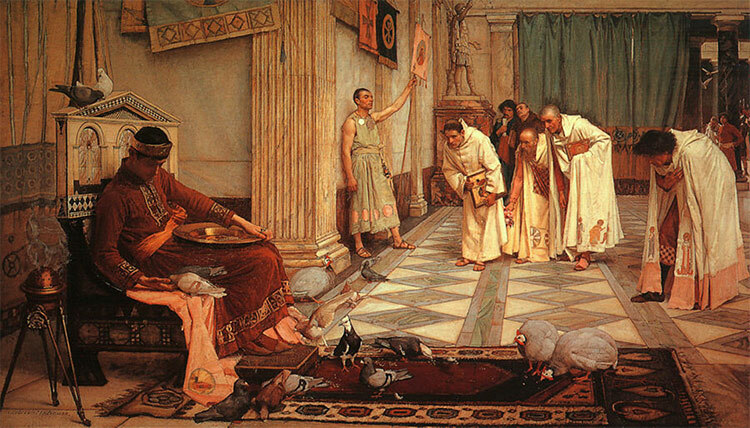 Her lecture, entitled “The Birth of Coinage. Old Questions–New Answers” was attended by colleagues and students. In 2016, a group of the Augustus B. Sage Society visited Poland and had briefly stopped in Wroclaw, enjoying this beautiful town in Lower Silesia. ANS Margaret Thompson Curator, Dr. Peter van Alfen, together with Professor Dr. Oğuz Tekin of Koç University, presented a two-week long intensive summer program entitled “Monetary History and Numismatic Summer School.” The “summer school” covered a broad chronological survey of monetary history and numismatics from ancient to Byzantine periods (c. 650 BC–AD 1453). As the collaboration between Koç University and the Suna & İnan Kıraç Research Center for Mediterranean Civilizations (AKMED), the course took place at AKMED, in Antalya, from July 3 to 14, 2017. Combining lectures with visits to museums and archaeological sites in the area, the course also provided a rare opportunity to access some of the most important numismatic collections in Turkey. Dr. Peter van Alfen, ANS Margaret Thompson Curator, and Dr. Ute Wartenberg, ANS Executive Director, both presented papers at “Coinage in Imperial Space. 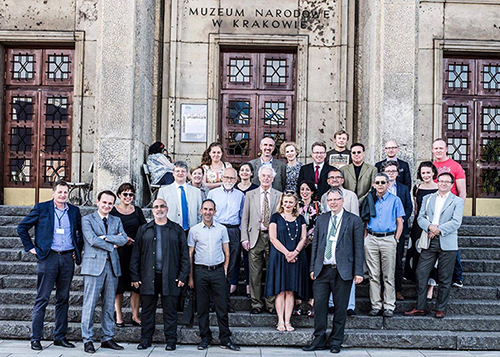 Continuity or Change from the Acheamenid to Hellenistic Kingdoms”—a conference organized by the Institute of Archaeology, Jagiellonian University, the National Museum in Cracow and the University of Oxford. The conference took place June 28 to July 2, 2017 in Cracow, Poland. Support the ANS by advertising in the award-winning quarterly ANS Magazine. For more information about advertising rates and specs, visit the advertising page or contact Joanne Isaac, Museum Administrator, at magazine@numismatics.org or (212) 571-4470 ext. 112.